Recognizing excellence in design and retail for 2015. Sneakers at brunch, at work and pretty much anywhere and everywhere—in addition to the gym—is now standard attire. The sneaker’s reign and the coinciding athleisure fashion movement (think the ubiquitous yoga pants craze) continues unabated, and that is just one of the key factors fueling the record growth of Skechers, the 2015 Plus Award winner in the Athleisure and Company of the Year categories. The latter award marks the second year in a row for Skechers. Skechers’ 2015 numbers speak for themselves: record annual sales of $3.14 billion (22 percent over the prior year) on top of record fourth-quarter sales of $722.7 million—an increase of 26.8 percent over the previous year. The company is now ranked as the second-largest athletic brand in the United States and is considered the number one walking and work brand. What’s more, the company’s international division accounted for 41 percent of total sales in the fourth quarter, bringing Skechers closer to its stated goal of reaching 50 percent within the next two to three years. While the success of its GoRun, GoWalk and Memory Foam franchises is well-documented, the growth has been across the board in its men’s, women’s and kids’ divisions. The broad appeal has also helped fuel retail store growth, which surpassed 1,300 doors worldwide last year. Plans are to open an additional 330 to 340 doors this year. The younger Greenberg cites the rainbow-colored Skechers Flex Appeal sneaker as a particular success story in 2015. A best seller around the world with consumers of all ages, he says the shoe harkens back 24 years to the brand’s Southern California active lifestyle and casual fashion roots. Other top sellers from last year include the Energy and D’Lites sneaker collections and the iconic slip-on Bikers sneakers with a bungee lace closure. Robert Greenberg notes that the Skechers Sport, Active and Performance divisions all grew exponentially in 2015 as athleisure continues to be a “dominant force within the market.” The GoWalk 3 and Go Flex Walk collections, in particular, were best sellers throughout the year as consumers loved the lightweight materials and variety of color options. 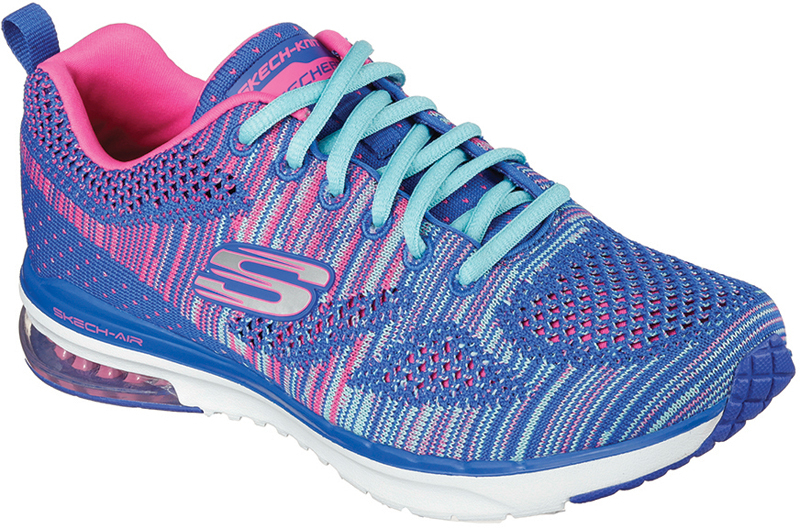 The colorful, comfort-driven Skechers Sport, Skechers Sport Active and Skechers Active collections for women also drove sales, according to the CEO. Indeed, Skechers has mastered the trend-right approach to footwear design. The company crafts footwear based on what the consumer is wearing and has held fast to this principle for decades. “When we develop new shoes, we look at trends that are driving sales in the apparel industry and translate that into footwear,” Robert Greenberg explains. Examples include the “wildly successful” Stretch Fit construction which was inspired by the comfort of yoga pants—a stretchable sock-like liner hugs the foot for a custom fit. He also cites the popularity of relaxed-fit jeans as seeping into its collections, incorporating the comfort of a wider toe area and roomier fit into sneakers. “We also offer hundreds of different colors and prints, so consumers can accessorize their pants or tops in any color with a perfectly matching pair of sneakers,” Greenberg adds. Both men agree this is a trend that spans all ages. Skechers makes universal fashion as everyone, it seems, loves to be comfortable. “Skechers’ footwear collections reflect this combination of comfort and style—and that resonates with consumers around the world,” Michael Greenberg says. In 2015, all eyes were on the Camuto Group to see how the brand would carry on after the death of its founder, Vince Camuto, last January. In the year since, the brand’s executives and creative team have carried on Camuto’s legacy to rave review, nabbing yet another Plus Award (it won last year’s Little Black Dress nod). Vince Camuto continued to be a trend trailblazer last year as well. Besides the favorite stacked-heel boots, other best-selling silhouettes included ghillies, architectural pointed-toe flats, espadrilles in colorful suedes and gladiator sandals. “In 2015, we were inspired by a range of trends and offered our customers especially versatile collections that featured new silhouettes and style hybrids, as well as rich materials, specialty techniques and textured finishes,” Camuto says. Camuto predicts the ambitious growth the founder laid out will continue to unfold on a big scale, as will her grand marketing vision, which was marked by the company’s first-ever Super Bowl ad. If you missed it, you can watch the spot featuring Jack Daniel, a shoe-loving Boxer dog, on vincecamuto.com. Extensive training and high expectations benefit the employees as much as the business overall, according to Breton. “We want them to earn a decent living in an expensive area,” he says, noting the chain operates on a commission-based format and offers plenty of spiff programs. “We’re not interested in someone wanting to earn $12 to $14 an hour. We want them to earn $25 to $30 an hour.” Breton credits its system—set up by a consulting company nearly 20 years ago. “We’ve just abided by it and taken it to the next level,” he adds. In addition to being a point of differentiation, Breton says the product mix enhances Comfort One’s margins and keeps the bargain-hunter at bay. “It takes away the whole shopping-by-cell-phone atmosphere because our selection is just not available everywhere else,” he explains. Along those lines, Breton believes this year’s product mix benefitted from a deeper expansion into athletic styles, but it didn’t involve the usual suspects. “We’ve done very well with a couple of brands. They’ve grown like mad for us,” he says. One, in particular, is the Swiss brand On. “They make really cool shoes that are great looking and extremely comfortable—guys buy a pair, and they come back and buy a couple more,” he says. Breton adds that the men’s category, in general, has been strong as guys continue to up their fashion game and replenish their closets after the recession. It all adds up to a winning combination for Comfort One Shoes, and one that Breton is optimistic will continue. “I believe we’ll have a small single-digit increase in our comp store sales this year,” he cautiously predicts. “While there’s certainly greater potential for something to go wrong in the economy, I can’t control that, nor can I control a brand selling direct to consumers.” What Breton can control is what shoppers experience inside his stores. “Our customers love our service and our selection, and they are very loyal to us,” he offers. Birkenstock also pushed beyond sandals into the boot market last year, introducing the Bennington low booties and Stowe moto boot, both of which were sold out by November. 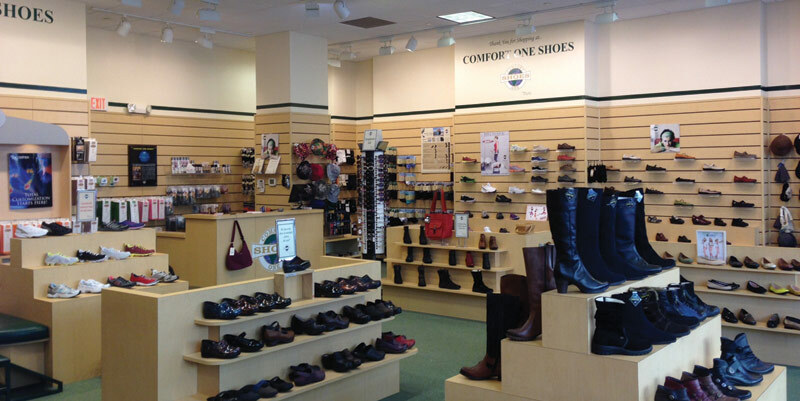 “In a time of challenges for fall products in general, we achieved phenomenal success,” Kahan reports, adding that the Boston clog also continued to perform strongly at retail, especially with a younger demographic. Kahan stresses that even in new categories, it’s the Birkenstock DNA that delivered success. “These styles resonated with consumers first because of their look, and also because of the authenticity of the Birkenstock footbed,” he says. Under Armour can attribute its success to a concentration on sports, premium positioning at good price points and a focus on empowerment and inspiration. Several celebrity athlete partnerships contributed, but it was the launches featuring Stephen Curry, the NBA’s Most Valuable Player, that set the brand’s footwear sales on fire. The signature Curry and Curry Two styles, both featuring the proprietary super-lightweight, responsive, and shock-absorbing Charged Cushioning technology, flew off shelves. 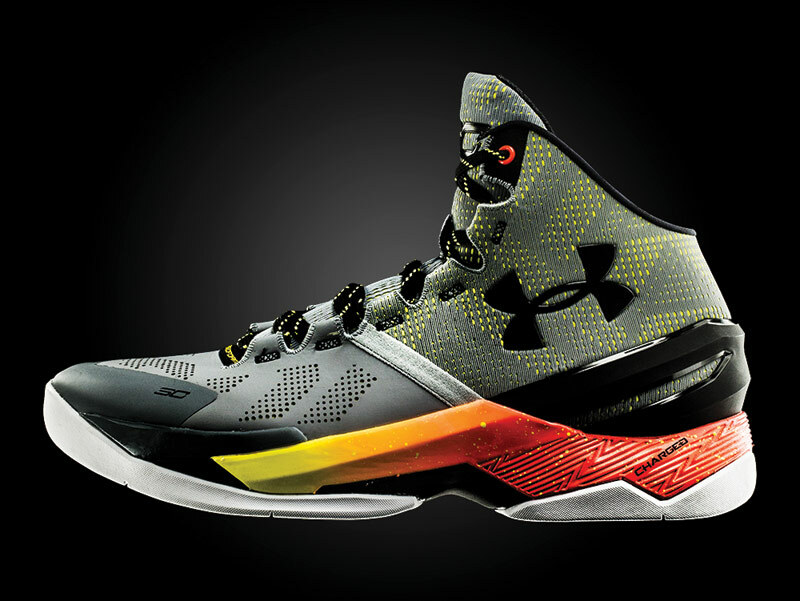 Powell attributes much of UA’s December 2015’s success to growth from these styles, and forbes.com states that the Curry shoes had sell-through rates topping 90 percent. The contract with Curry has already been extended through 2024, and based on its success, Under Armour CEO Kevin Plank has stated he plans to build a $1 billion basketball venture out of the collaboration, alone. While Under Armour’s foray into the basketball category has been hugely successful, the brand has also retained its leadership position in football footwear for the past several years. The category’s exaggerated high-top Highlight Cleats continue to be the highest-performing model at a premium price. In the running category, the brand introduced affordable running options that were a big source of growth at the end of the year. But it was the introduction of its SpeedForm technology (the upper molds to the foot for a precision-molded, seamless fit) introduced the previous year that allowed the brand to make a name for itself in the highly competitive category. Ruppe says the prior year’s SpeedForm Apollo (made in a clothing factory) performed well at retail, as did other new additions like the SpeedForm Fortis and long distance–focused SpeedForm Gemini. The Bandit style, featuring a form-fitting 4D foam footbed, also led sales. Other notably successful launches in 2015 included the highly unique Fat Tire shoe trail runner, in which the brand took inspiration from oversized bike tires. “We work with Michelin, who is known for being the leader in bike tires,” notes Ruppe. “It was unexpected, and it really resonated with people.” Ruppe points out that key design inspirations often come from the sizeable sports science team at the helm of the company. Ruppe says their suggestions are taken very seriously, and he attributes much of the brand’s success to their input. 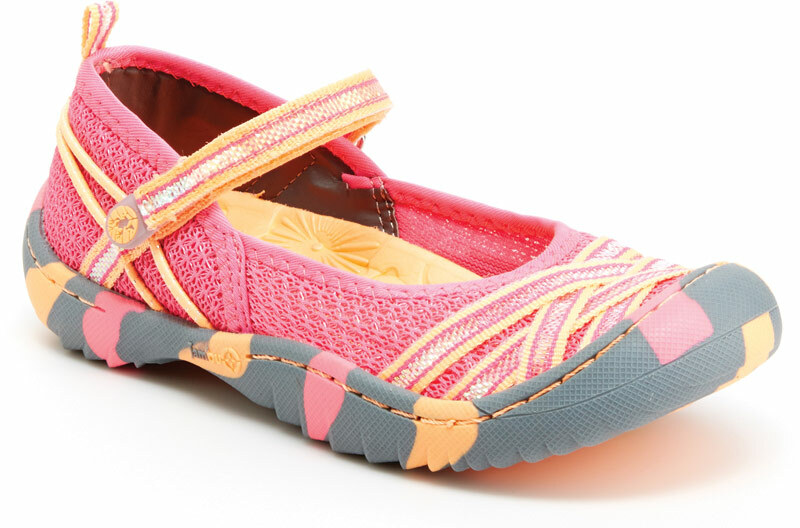 Last but not least, kids’ was another successful footwear category for the company in 2015. Cole Haan, a frequent Plus Award winner in the men’s dress categories over the years, has a knack for blending classic styling with the latest technologies to make shoes that stand out from the masses. Last year was no exception as the brand’s ZeroGrand collection (first introduced in 2014) continued to be a runaway success at retail. The hybrid pairs sport bottoms with casual dress uppers to offer extremely lightweight, flexible and versatile shoes—an entirely fresh approach in a market segment long considered stagnant. ZeroGrand is an offshoot of the Cole Haan’s breakthrough Grand.OS platform, a revolutionary operating system designed to reduce weight and mimic the foot’s natural flexibility, all while providing responsive cushioning to help bear life’s day-to-day demands. That balance between performance sport and elegant styling hit a sweet spot amid the macro athleisure trend overtaking both men’s and women’s fashions. Sneakers are hot, and to ignore the look or, more importantly, the lightweight comfort benefits commonly associated with such footwear is at a brand’s own peril these days. Not surprisingly, Maddocks reports that sales—particularly in the ZeroGrand franchise—surpassed expectations in 2015. “We designed a product to take people from work to play, street to studio, or around the globe in style and comfort,” he says. To drive that message home, Cole Haan’s Fall ’15 ad campaign, titled “Prepare for Takeoff,” featured ballet dancers and parkour athletes dancing and jumping around the Eero Saarien–designed TWA Flight Center in Queens. The future-forward campaign came on the heels of the brand’s first Global Innovation Center, opened last February in the company’s home base of Greenland, NH. The center was created to enable the company to aggressively expand its offering of ZeroGrand products for men and women as well as join forces with best-in-class partners and manufacturers to deliver an integrated collection of lifestyle products. “We want to bring to life elegant, innovative products designed for the active lives of extraordinary people,” Maddocks says. 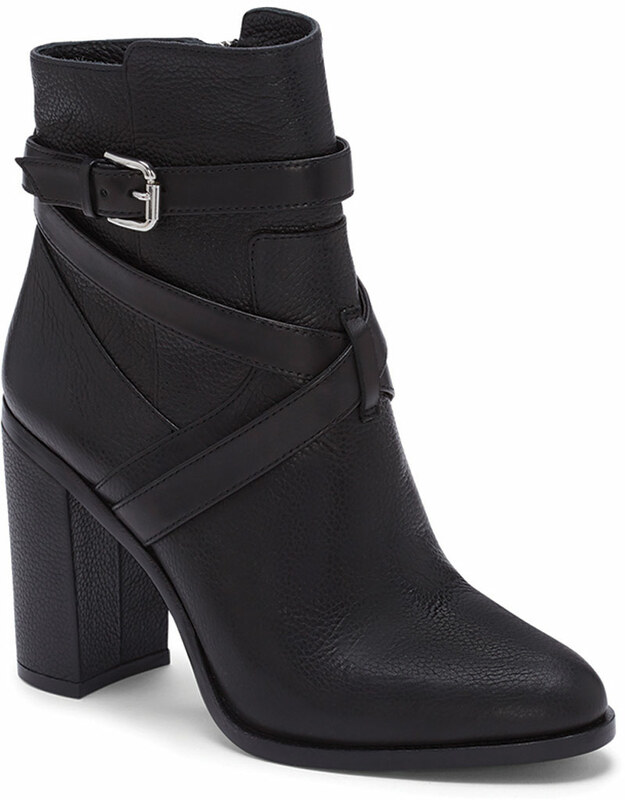 Drawing inspiration from Coachella, Brinkmann believes the “Western chic” bootie was strong due to the silhouette’s versatility to be paired with leggings, dresses and shorts. 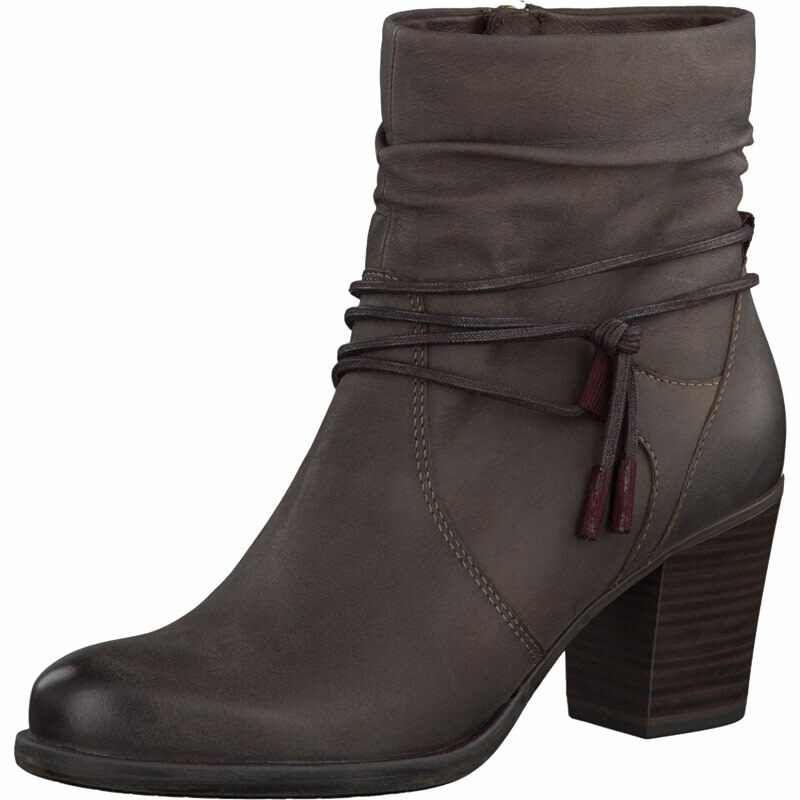 Other winning Tamaris styles in 2015 included pumps and waterproof boots— both of which sold out. Brinkmann adds that the goal moving into year two is to build off of what worked well last year: “We need to ask how our retailers did with each category and bet on that to make our lines stronger for next season,” he says, noting that results in early 2016 are already promising. Hoka’s success is grounded in its revolutionary oversized midsole design. Introduced to the market in the midst of the minimal running shoe craze a few years back, the brand’s Meta-Rocker midsole geometry encourages a smoother ride and faster transition to the forefoot. The midsole, which provides maximum cushioning, stability and rebounding, instantly caught fire, and sales have been on a rapid rise ever since. In 2015, specifically, Hoka introduced new colors to appeal to a younger consumer. Diard notes that the award-winning Clifton 2 road running shoe was improved with an updated upper and lightly padded tongue. “The Clifton 2 was a best-selling shoe for Hoka because it improved on an award-winning ride with thoughtful updates added for better fit and comfort,” Diard says, adding, “Other Hoka styles gained traction in the running marketplace as consumers look for a shoe to take them from a run to errands around town.” Other standouts in 2015 included the launch of the Speedgoat (a technical shoe designed for rugged terrain in collaboration with 100-mile winning record holder Karl Meltzer), the “highly supportive” Mafate 4 trail shoe, and the Tor Ultra Hi WP hiking shoe. Last but not least, Diard says Hoka’s design and innovation teams joined forces to introduce the Pro2Lite technology in 2015. Designed for racing, the shoes are just as light but more protective and cushioned than many existing models on the market. It provides runners the necessary propulsion for a race, but is as stable and more protective than many trainers, so that when runners become fatigued they can maintain speed and rhythm. The Clayton, the speed line’s pinnacle product, progresses from a softer heel to a firmer forefoot thanks to multiple foam compositions. “In 2015, the focus for our product team was to push the boundaries of innovation to address the needs of the performance runner— in a whole new way,” Diard says. Mission accomplished. Nordstrom has garnered the Plus Award in the National Chain category for the fifth straight year. Winning factors proved to be a balance between full price and discount, and between e-commerce and brick-and-mortar. While the Seattle-based department store chain experienced a rough second half of the year sales-wise—as did pretty much all retailers battling record warmth and a shaky economy—the company continued to invest heavily in ominchannel capabilities, which included the opening of six namesake stores (including its first international flagship in Vancouver, Canada) and 27 Nordstrom Rack discount stores in 2015. For example, Nordstrom was the first national retailer that enabled customers to shop by text through an initiative called TextStyle. “We know that 90 percent of our customers have a smart phone and, increasingly, customers are researching, comparing and shopping on their phones,” Meden explains. “For customers who prefer text messaging, TextStyle is a way for our salespeople to provide a personalized styling experience and for customers to view and buy seamlessly with the convenience and simplicity of a secure text message, wherever and whenever they like.” To further blur the lines between online and physical space, Nordstrom is testing a curbside pick-up platform that would allow customers to retrieve online purchases from stores without leaving the car. Even more personalized was the expansion of its exclusive in-store partnership with Shoes of Prey, an online concept that allows customers to custom design select styles that will arrive within five weeks. Following the success of its first studio (opened late 2014 in Bellevue Square, WA), Nordstrom opened five additional studios in 2015. Offering hundreds of heel, style, color and size combinations, the innovative program has been especially appealing to young customers. And offering sizes 2.5 to 15, it is a particularly valuable resource to those with uncommonly sized feet. 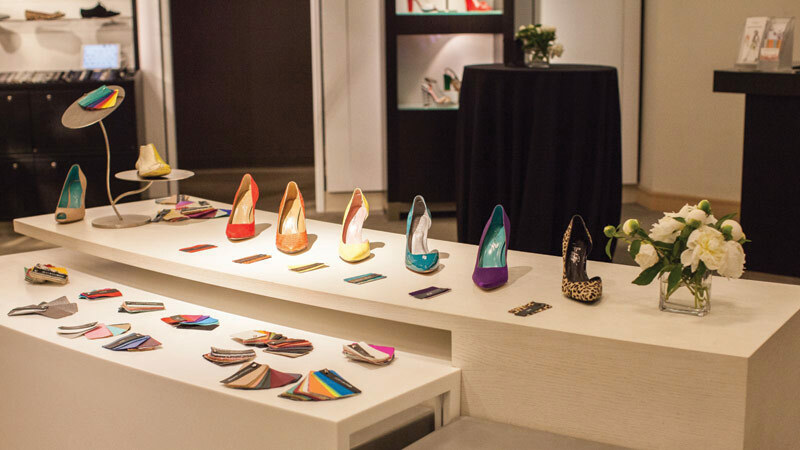 Beyond that, Shoes of Prey is a perfect example of merging the latest digital technology in a brick-and-mortar setting, thereby creating a state-of-the-art omnichannel shopping experience. Similarly, Nordstrom introduced Space, an in-store boutique for emerging designers, in four locations and on nordstrom.com. The shops feature a cross-category selection of apparel, shoes, handbags and accessories. All signs point to continued success in the years to come for Nordstrom. The retailer recently announced the footprint for a new flagship Manhattan store, slated to open in 2019. “We’re building in the context of the world’s greatest stores in the best retail city in the world,” states Co-president Pete Nordstrom, adding, “Our ambition is to create an entire experience that reflects the best of what we have to offer.” What Nordstrom has to offer, Meden reiterates, begins and ends with unparalleled customer service. “Our focus continues to be on elevating the service experience we offer our customers, remaining relevant and serving the customer however they want to shop,” he says. Twice is nice for Jambu, a division of Vida Brands, which took home the Plus Award in the Children’s category for the second consecutive year. Vida Kids Director of Sales John Licata reports that 2015 was a record-breaking year for the company’s leading children’s line, now called JambuKD. “We achieved exponential growth and tremendous gains across all channels in 2015, including independents, online, premium department stores, sporting goods, athletic specialty and catalog,” he notes. What fueled the sales growth? Licata says that though the girl’s category continued to be the lead gender, the past 12 months saw significant strides in boy’s. “That led to market share gains that allow us to become more balanced as the brand moves forward,” he adds. On the girl’s side, JambuKD’s Mary Janes were bestsellers once again—the Fia being the brand’s top-selling style. “It’s one of the strongest silhouettes. We develop it in the freshest colors every season and use shimmery webbing that girls gravitate to,” says Naly Lee, design director for Vida Shoes. The brand expanded its offering of Mary Janes in response to comments from retailers seeking to freshen up a category staple. “The design never changed,” explains Lee. “It’s been either a dark ‘back to school’ shoe or very toddler-like. We’ve been able to carve out a niche that little girls want to wear.” To innovate the classic silhouette, JambuKD added dainty straps in colors ranging from aqua to purple to hits of pink. “We’re finding more and more that kids are gravitating away from typical pinks,” she adds. Glitz and sparkle take the sporty designs up a notch as well. 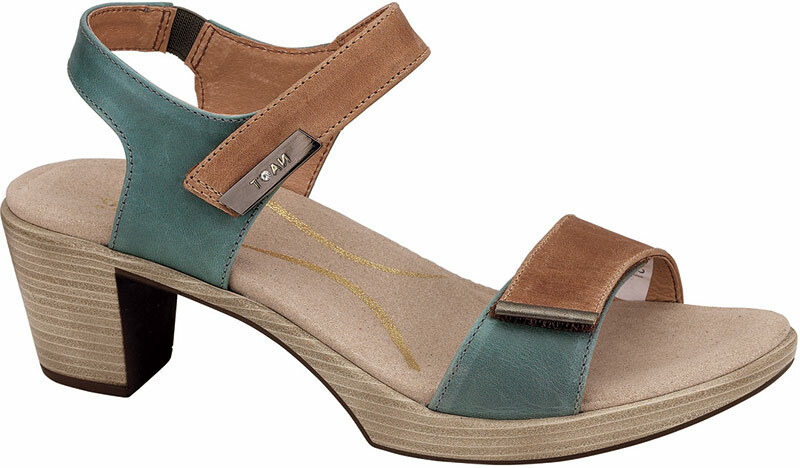 Lulu, for example, features an iridescent upper and glitter-infused outsoles. Similarly, the brand reinterpreted a classic, closed-toe fisherman sandal that was a hit for boys. “A lot of the sandals in the outdoor category for boys are in basic colorways—takedowns from the adult line,” notes Lee. “We’ve been able to infuse them with design elements from the popular athletic categories that boys are drawn to.” In addition, Lee says incorporating animal-themed design elements is a popular draw. The best-selling Piranha sandal, for example, allows JambuKD to incorporate education into its shoes. “If a kid is curious about something, they’re more likely to learn about it,” Lee notes. Timberland, a brand renowned for its urban and outdoor roots, launched its Pro division in 1999 to better serve the safety footwear needs of professional tradesmen. Over the years, the division has made steady strides in a category dominated by a handful of established players, and 2015 marked a stand-out year, capped off by its first ever Plus Award for design excellence in the Work Boots category. Bert Spiller, senior director product creation, footwear and workwear, for Timberland Pro, credits a lot of the success to its heavy investment in customer research. In fact, the 2015 collections were inspired by a “reach out” policy, where team members went out into the field to observe consumers at work. “This outreach, combined with rigorous material and product performance testing and refining, helped us deliver unique, functional safety footwear solutions,” Spiller says. Overall, Spiller credits a contemporary design approach coupled with the latest performance features that enabled Timberland Pro to reach a broader audience in 2015. Highlights of the collection included the Timberland Pro Boondock and the new Ag Boss series—which brought brand’s outdoor heritage to life. Both featured modern hybrids of Goodyear-welt and cement construction. Spiller says they performed well at retail, as did the Rip Saw collection built “to take on punishing and unpredictable landscapes.” Key features included the all-temperatures-ready Vibram Fire & Ice Outsole and anti-fatigue technology, which absorbs shock and then returns it to key zones of the foot for maximum strength and stamina. “These styles continued to drive healthy growth with their best-in-class craftsmanship and durable construction,” Spiller says. Last year also saw the successful introduction of Timberland Pro’s Raptek microfiber, featured in the uppers in the Valor line of tactical work boots, offering superior abrasion-, chemical- and bacteria-resistant properties. Another element that boosted sales for the year was the patented GripMax outsole technology featured in the brand’s primarily indoor Stockdale collection of work boots. The tread design is inspired by “wiper technology” that helps to clean a path by enabling the outsole to make contact with a less contaminated surface and help reduce slips and falls. Last but not least, Spiller cites the Powertrain series of work shoes that combined the safety and durability of a traditional work boot with casual lifestyle aesthetics (think bright, multi-colored uppers and outsoles) as having performed big at retail last year. Other factors contributing to Timberland Pro’s success in 2015 included job growth in the automotive and residential construction industries (more people working equals more boots sold) and the ongoing influx of Millennial-aged consumers into the workforce. With regards to the latter, Spiller notes that Timberland Pro performs exceptionally well within that demographic. Younger workers are more open to choosing newer brands and are not set in their brand preferences yet. It has enabled Timberland Pro to establish a strong connection with this next-generation work force, he says. Perhaps the most notable aspect of the Ugg brand’s Plus Award–worthy success in 2015 was the fact that the evolutionary takes on the brand’s Classic boots led the way. What’s old was definitely new again as Leah Larson, vice president creative director of the Deckers Brands division, cites the introduction of the Classic Luxe and Classic Slim collections as reinvigorating the staple at retail last year. “We had a great time infusing newness into our Classic collection,” Larson affirms, adding that the new offerings appealed to the brand’s existing global fan base as well as attracted new customers. Made in Italy, the Classic Luxe collection provided a sophisticated take on the (bulkier) sheepskin boot. Larson says the sleeker, more fashion-forward silhouette featuring refined details provided consumers with more flexibility. They can pair the boots with dressier outfits without sacrificing warmth and comfort of the original design, she explains. In addition to the success of Classic collections, Larson notes that the new Shaye rain boot (featuring the brand’s exclusive sheepskin footbed and offered in an array of colors) sold out online and performed extremely well at retail last year. 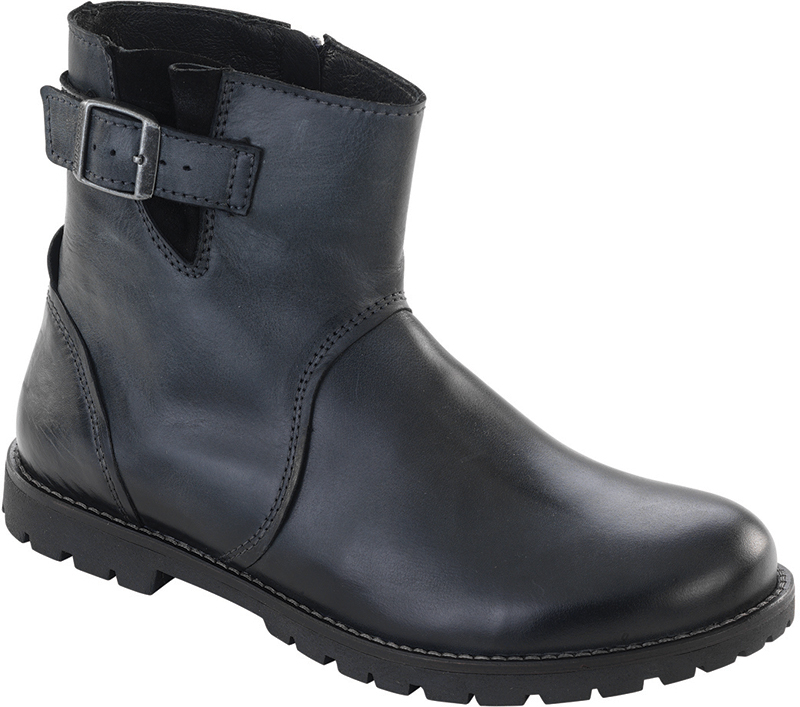 Another star was the Piedmont collection—weatherproof boots packaged in a slim, feminine silhouette and featuring eye-catching buckle and belt details. The collection “had an amazing sell-through,” Larson reports. The year also marked the 15th anniversary of the brand’s cold weather staples, the Adirondack for women and men’s Butte. The waterproof boots can withstand temperatures below zero-degrees Fahrenheit, and their contemporary styling provided a fresh alternative to the bulky looks commonly associated with the cold-weather category. Larson says that both styles sold wonderfully last year thanks, in part, to a record cold winter in the eastern half of the country. Last but not least, Larson credits the brand’s success in 2015 to the reputation it has built over the years. “The luxurious warmth and comfort, premium quality, craftsmanship and effortless style of Ugg continues to set the brand apart in the marketplace,” she says, adding that another key attribute is the brand’s relatively affordable and accessible luxury. “The beauty of Ugg is that it is truly for everyone,” Larson adds. 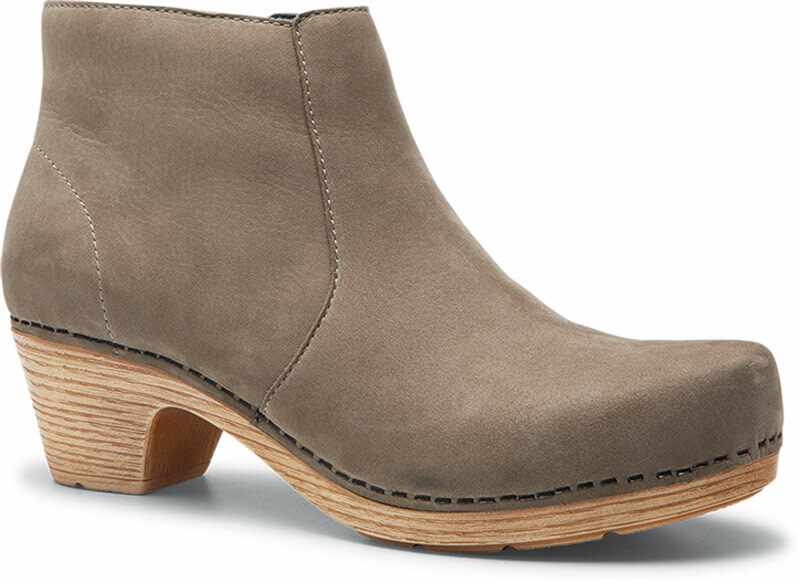 Dansko initially introduced the Maria in a small quantity in the fourth quarter of 2014, but when it sold out in eight weeks, the company knew it had a winner for the coming year. And they were proven right: Bolinger reports that the brand hit its sales budget for 2015 despite a difficult retail climate. “We were realistic with our projections, but given the disruptive marketplace for the fourth quarter of 2015, we were fortunate to succeed,” she says, adding that toward the end of the fall season sales of its original Professional clogs in antique brown and black oiled uppers picked up. “It marked a true return to our roots,” she says. It probably doesn’t come as a shock that Zappos nabbed the Plus Award recognizing retail excellence in the Online category for the fifth straight year. Ask most any wholesale exec who is the most important player in the tier and the response is immediate and nearly unanimous: Zappos. While the Las Vegas–based subsidiary of Amazon has been causing a bit of a stir with its self-management Holacracy corporate structure (think no bosses), two things that didn’t changed in 2015 were the fact that the retailer moved a ton of product for a wide range of brands, and its partnership attributes remained second to none. That open-mindedness led to some buzz-worthy marketing campaigns in 2015, including a loyalty initiative that delivered a surprise package of goodies in the middle of the night to a small New Hampshire town full of devout customers—all 1,800 of them. 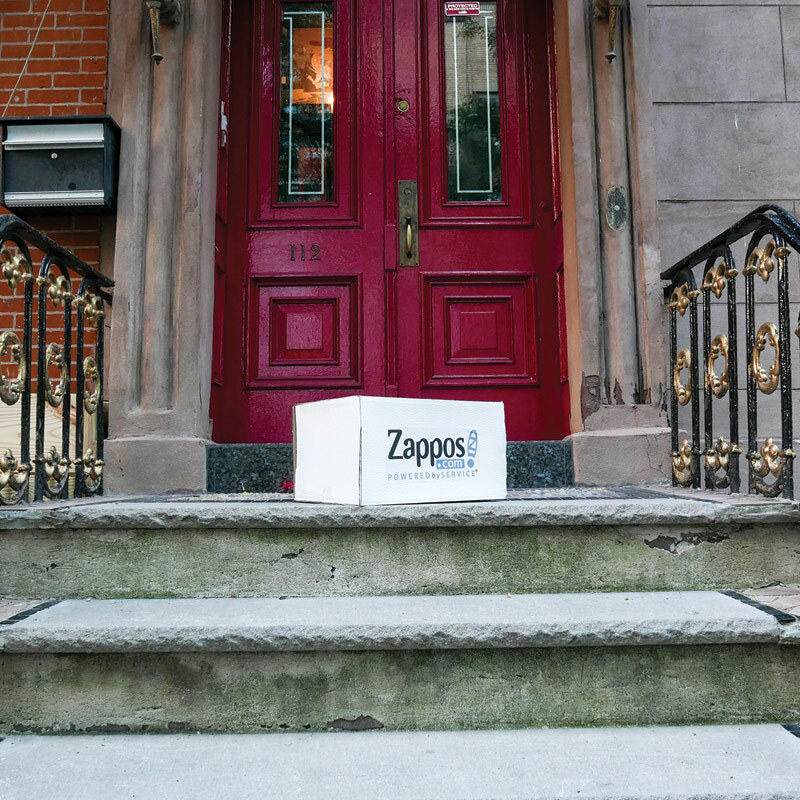 In another unorthodox move, Zappos spontaneously piggy-backed onto another company’s promotion. “We found out a giant tech company would be offering up free cupcakes to consumers on the streets of Austin, TX, in exchange for testing out their new photo-sharing service,” explains Richmer. “So, we thought it would be fun to hijack their stunt, and offer up even more happiness with ‘Pay with a Cupcake’ by providing goodies—sunglasses, backpacks, watches—to those who ‘traded-in’ their tech-provided cupcakes.” (All in good fun—the cupcakes were given right back.) The creative thinking didn’t stop there: In 2015, the company sponsored holiday pet adoptions, offered free returns and gift cards for unwanted gifts—and donated them to charity—handed out free umbrellas in the rain, passed out Mother’s Day cards to college kids, provided stamps on tax day and more. “All in an effort to build meaningful relationships with our customers,” Richmer states. But these are not viewed as gimmicks by Zappos. “First, we consider ourselves to be a customer service company,” Richmer explains. And servicing customers anywhere and anyhow—including the unexpected gifts—is all part of its grand plan to offer the best in customer service. Of course, that involves the blocking and tackling online shopping needs as well. “We believe that the speed at which a customer receives an online purchase plays a very important role in how that customer thinks about shopping online again in the future, so at Zappos we put a lot of focus on making sure items get delivered to our customers as quickly as possible,” she offers. To achieve said speedy delivery, Zappos houses all inventory in its own warehouse, and won’t make an item available for sale unless it’s physically in stock. “We firmly believe that nothing great ever happened by playing it safe,” says Chris Davis, global strategic business manager, lifestyle at New Balance. “Our mission as a team is to be the epitome of risk and lifestyle innovation.” Davis says that approach helped the brand garner the Plus Award in the Athletic Lifestyle category for the second straight year. Specifically, he cites its “technical fashion” premise as the basis of its success. “Sport style, to us, is the marriage of our heritage product and modern technology executed in a contemporary, trend-relevant manner,” he explains. While New Balance remained consistent in its commitment to high-quality footwear, Davis believes the 2015 collection was more unique than ever before. The Sport Style category featured a wide range of products, ranging from high fashion to high tech. Highlights included the global Deconstructed collection, in which the team focused on styles with a rich history and a sense of authenticity within the global fashion market, and then modernized the pieces through deconstructed and re-engineered designs. For example, the 996 and 1500 Deconstructed models—featuring premium suedes and lightweight foams—were received extremely well globally. Another successful launch last year was the C-series collection, which featured metropolitan cycling themes. Overall, Davis reports the majority of New Balance’s Sport Style line far exceeded sales expectations for the year. “The 1550 was a dark horse at Foot Locker Europe and smashed expectations both internally and externally,” he reports. The goal, he adds, is to meet the needs of a 24/7 lifestyle—shoes for the global metropolitan trend-setter that can be used just as easily at the gym as for heading out for a night out with friends. 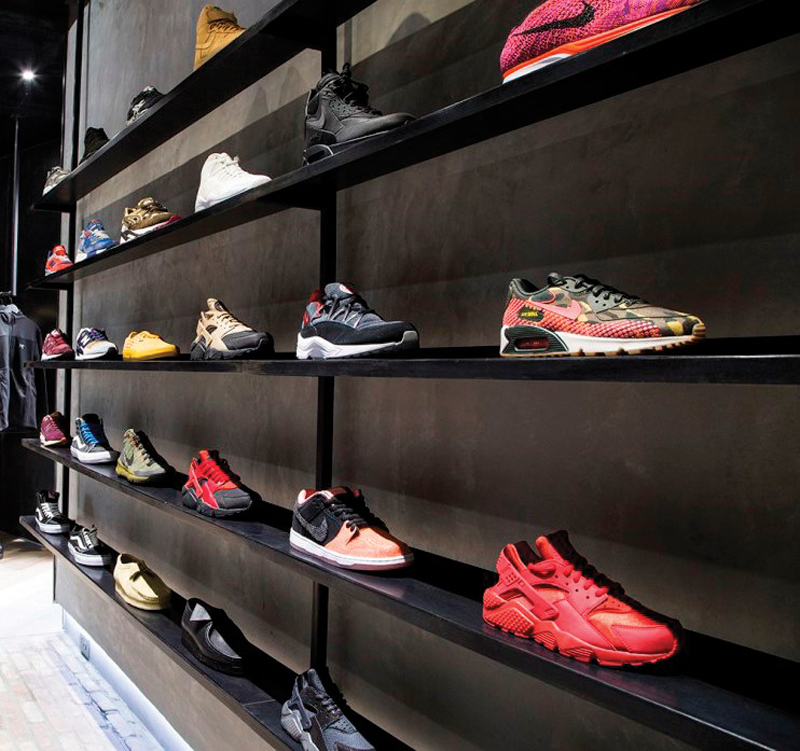 For concepts, 2015 marked the year the trendy retailer officially moved beyond its Cambridge, MA, base with the opening of a permanent location last fall in New York. Concepts also reached out to Miami and Los Angeles with wildly successful pop-up shops—making a physical connection with many of its online fans who snapped up its coveted collabs. Last but not least in 2015, Concepts’ “Mix and Match” collab with Asics encouraged shoppers to buy more than one pair for a unique and versatile multi-colored fashion statement. It also marked the first time that a Concepts partnership extended into toddler sizes. And its New Balance 997 “Luxury Goods” collab was rated the year’s best by Complex magazine. Made in the U.S.A., the all-orange upper was inspired by Hermès. The pure simplicity of the design proved to be a huge hit with sneaker fans. Keeping it fresh is the mantra for Concepts going forward, according to Point. The goal is to continue to grow the Concepts brand, via pop-up shops, additional permanent locations and, of course, a steady stream of collabs. The idea, Point says, is to make a meaningful connection with customers. Brick-and-mortar, in particular, is a key element of this plan. “Whether it’s a pop-up or an in-store experience, we are looking to engage with our customers,” he explains. “It’s important—to not only add to the culture but to help create and cultivate it.” Point likens Concepts’ in-store experience to going to a favorite restaurant where the maître d’ knows you and the chef comes out to say hello after your meal. “We believe people prefer shopping in a place where they feel comfortable,” he says. “That’s the level of service we provide.” It also enables Point to meet with customers—an invaluable learning experience. In fact, he often spends hours talking with people waiting in line for Concepts’ sneaker drops. “You can only find out what’s coming next with the kids through face-to-face interactions,” he says. For a brand that cites the inspiration behind its 2015 outdoor styles as its own mountaineering boots, technical tents and packs where “proper engineering can be a matter of life and death,” it is fitting that The North Face (TNF) again takes the crown for the 2015 Plus Award for design excellence in the performance Outdoor category for the second straight year. The line is built to both perform and protect in the harshest of elements. The brand, a division of VF Corp., has been making footwear for more than a decade (successful franchises of note are the Hedgehog and Chilkat winter boot), and since 2014 it has been expanding business by adding increasingly progressive collections like the Ultra Series and the Litewave. Brian Moore, TNF vice president of footwear, says the brand’s 2015 outdoor styles capitalized on the very strong momentum it established the previous year. Offerings for the year ranged from mountain-sport, backpacking, hiking and trail running styles to products for urban exploration to daily essentials for those living in mountain towns. Moore points to the Ultra Fastpack, the Ultra 110 and the Hedgehog Fastpack as all being the best-sellers of 2015, saying the styles share elements of versatility, trail-appropriate and sophisticated design. But by far, the stand-out series for the brand in 2015 was the Ultra. “Ultra is the leader for us,” states Moore. “[It is] our most progressive collection—this season we focused on subtle, engineered details, including the integration of our geodesic support cage into the construction of the upper.” Shape magazine named the woman’s Ultra Equity as the year’s best trail runner as part of its annual Shape Sports Awards. 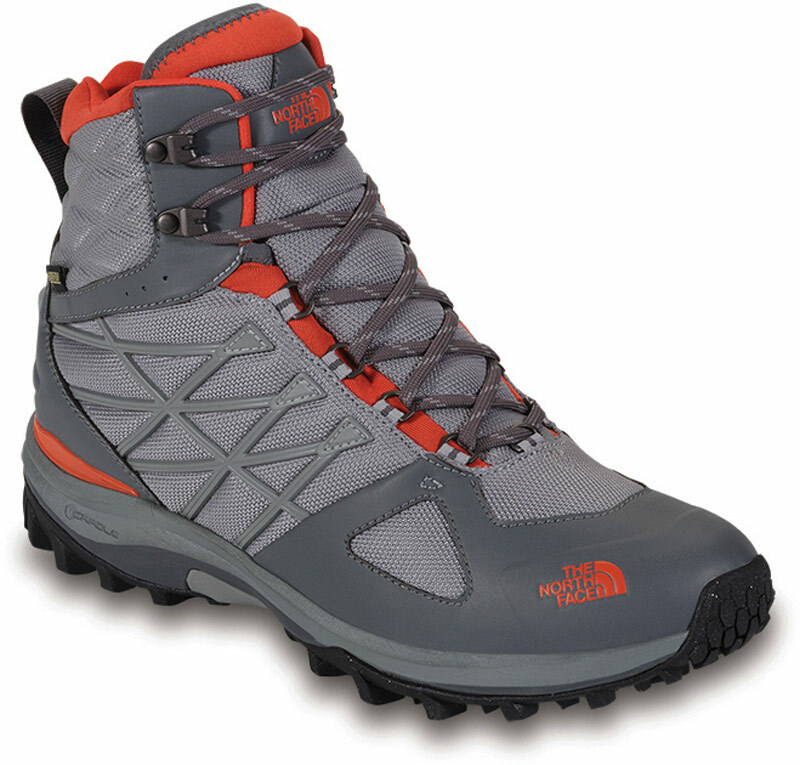 And the the blog site Outdoor Gear Lab awarded the men’s Ultra 109 GTX an Editor’s Choice award (its highest accolade), citing its “great do-everything” design. Moore notes that, over time, TNF’s designs are also becoming more subtle (think not bulky and clunky hikers) and sophisticated with its use of color, incorporating more blacks and shades of gray as opposed to bright pop colors and prints. It’s a point of differentiation in the marketplace, according to Moore. “We consider them less traditionally outdoor,” he says. 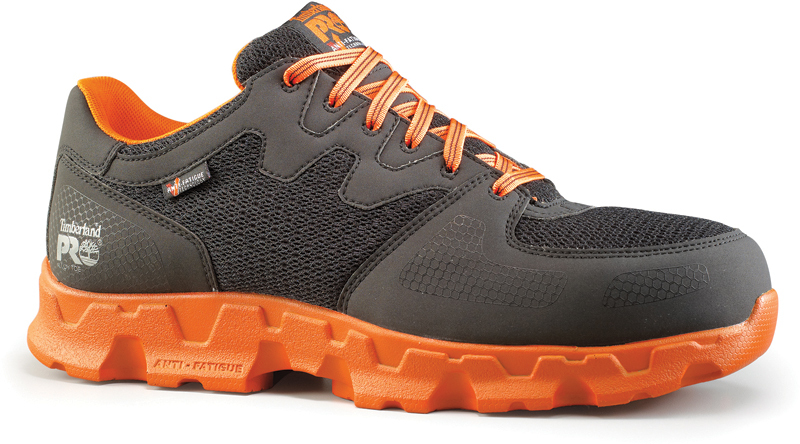 “We have less reliance on brown leather and suede and traditional outdoor colors and materials.” The result, he notes, are styles that are lighter in weight than usual, but with an elevated performance appearance and feel that is just as at home on the trail as it is on city streets. When brand names like Vans and Disney join forces, it is perhaps unsurprising that their collection wins the 2015 Plus Award for Celebrity Collab. But the iconic brands’ teamwork stretches far back—both of the brands boast a heritage in Southern California (Anaheim) and have been collaborating for longer than much of their fan bases have been alive. Since the ’70s and ’80s, the Van Doren family (founders of Vans) made footwear for the Disneyland staff, and the family also designed a shoe that was available exclusively at the park, says Dabney Lee, senior director of global classics footwear at Vans, a division of VF Corp. For years those prints were lost to the public, and Lee says it wasn’t until 2013 that the brand debuted a (quickly sold-out) Disney x Vans Vault collection that showcased original designs from the ’80s. In 2015, Vans x Disney released new prints for the Disney Young at Heart series and made the pieces more accessible across consumer group categories by incorporating a broader print collection and extending the designs across accessories, apparel and footwear. The Mickey and Friend’s pack (Mickey and Minnie Mouse, Donald Duck, Goofy, Pluto and Winnie the Pooh) grounded the collection, says Lee. 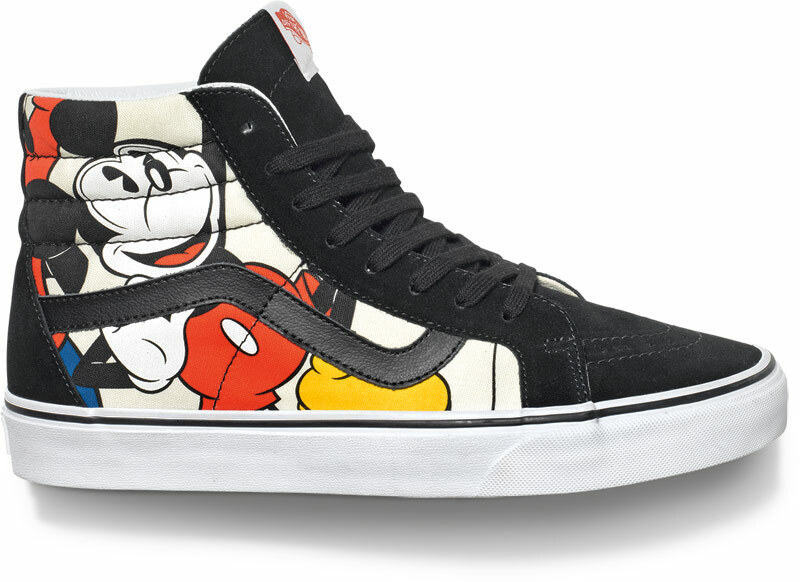 The Vans Era style featured the “entire gang,” while the Sk8-Hi focused on a different Disney character on each side of the shoe. New women’s and girls’ styles were also launched in 2015, displaying designs of different Disney princesses, from Ariel to Jasmine, and also included a multi-print pattern featuring all of the princesses. “We couldn’t leave out Snow White, Cinderella and Sleeping Beauty!” exclaims Lee. Sizes in toddlers and kids’ expanded and prints were introduced to both men’s and women’s collections. A design highlight for Vans was Disney’s willingness to allow it to add unique designs to sit alongside beloved Disney characters—the definition of a true collaboration. Examples? The Winnie The Pooh Authentic in Light Khaki in which Pooh wears a homemade helmet and skateboards, Mickey on a Sk8-Hi and Minnie Mouse in a Vans Slip-On in Frost Grey. “We were able to include a nod to our skateboarding heritage in a special way that spoke to our consumers through a design that was never seen before,” explains Lee. The response to the collaboration’s collection was tremendous. “Everyone around the world loved it,” says Lee. She notes that Vans was deeply inspired by the element of discovery so germane to the Disney brand, referencing the inclusion of hidden characters within the styles. “The playful nature of the project truly inspired us,” she says. Above all, though, Lee says what really caught the hearts of consumers was the breadth of both brands’ appeal. “When you define the young and the young at heart as your consumer, it really reaches everyone,” she says. The recent unseasonably warm fall (downright balmy) hit many in the boot business hard. Yet Sorel, a brand renowned for making cold-weather gear, boasted record fourth-quarter sales growth despite the hot hand Mother Nature dealt. How so? The brand’s continued evolution in offering performance boots packaged in trendy styling. 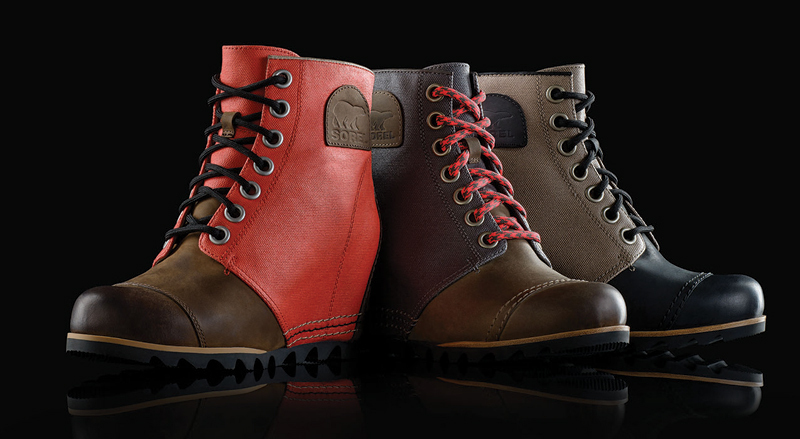 Sorel is at the forefront of the haute hiker movement making what were once considered only weather-dependent boot needs into everyday fashion statements. Today’s consumers increasingly want it all—the look as well as the comfort of knowing that they are prepared for whatever weather conditions may come their way. 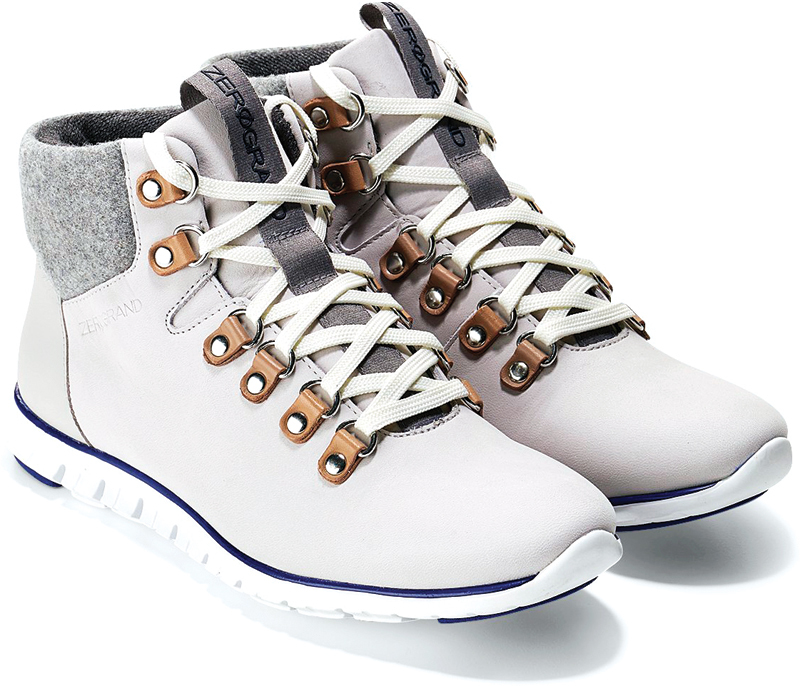 “After success in recent seasons with our wedge boots, Sorel continued to expand into the fall fashion space in 2015 with a selection of boots that offer striking options for any wearing occasion or type of weather,” confirms Kimberly Barta, senior global brand director of the Columbia Sportswear division. The 1964 Premium Wedge and Cate the Great Wedge collections joined the brand’s successful Joan of Arctic franchise to round out Sorel’s elevated offerings. “These profiles leveraged our iconic heritage designs for earlier in the season,” Barta says. The key was incorporating fashion influences—particularly the season’s military trend—with such utilitarian features as waterproofing, traction and premium leathers. Since many Sorel consumers live in cities, Barta says the boots are designed to protect the wearer from her first subway ride, to a long day at work or school, to late-night socializing. The wedges, in particular, satisfy these requirements with a wide range of color and material offerings. Also popular, Barta notes, was the Major collection of boots, which features a slimmer silhouette and lighter outsoles for all-day comfort “while being on-trend with military cues.” For winter weather protection, Barta reports the Tivoli II boot was a popular seller, sporting classic styling in suede, canvas or knit uppers. Perhaps most indicative of the strides Sorel is making as a fashion choice was the fact that many customers made their purchases earlier than ever in 2015. It didn’t hurt that the brand garnered some major fashion cred when several styles were featured in Vogue’s September issue. “The boots paired beautifully with couture dresses,” Barta notes. Indeed, Sorel has been on a strong run of late, evolving from a cold-weather, one-season business into a year-round lifestyle fashion brand. To help build on that momentum, Sorel turned its Manhattan pop-up shop into a permanent location and opened additional flagships in Boston, Chicago and the Mall of America in Minneapolis. Barta adds that Sorel will continue to broaden its apparel collection and, this spring, will introduce warm-weather shoe and sandal styles. Regardless of the season, however, Barta says the brand’s design-first premise will remain its guiding principle. “We are obsessed with design,” she says, noting it’s an ethos that Sorel President Mark Nenow has instilled in the entire organization spanning product creation to marketing to sales. “It is a competitive advantage and is the essence of all we do and strive for every day,” Barta says. New Balance had a slew of highly successful collaborations in 2015, spanning the trendiest sneaker boutiques such as Concepts and Kith. But it was its partnership with the more mainstream J. Crew that was especially a hit with consumers—from fashion-forward J. Crew devotees to New Balance sneaker collectors. The reason? According to New Balance Product Manager, Lifestyle Ben Cuthbert, “[It was about] what each brand could offer collaboratively,” he says. “As the only major sneaker brand to still manufacture in the U.S., New Balance brings to the relationship a very unique offering of craftsmanship and quality that fits well with the J. Crew consumer.” This, he adds, combined with J. Crew’s keen eye for design and subtle detailing resulted in a particularly sought-after product. Jen Lynch, New Balance’s senior product manager, lifestyle, adds J. Crew’ s penchant for having its finger on the modern pulse as another key ingredient to the collab’s success. “They have re-defined the American dress code,” she says. One of the stand-out colorways for the 998 collab, in particular, was the Hilltop Blues release. Inspired by New York City baseball stadiums, it featured suede and nylon accents of brown, navy and red. Frank Muytjens, menswear designer for J. Crew, credits the unique color combinations as being a difference maker. “The traditional red and blue looks fresh again against the unexpected brown pops—it takes it out of the active sportswear arena and make it more street,” he says. A record-cold spring in 2015 across much of the country sure didn’t help the sandal business overall, but once the weather finally cooperated Naot’s sales caught fire. “Our sandals were flying off the shelves early in the season,” reports Ayelet Lax Levy, vice president of Yaleet, distributors of the Israeli-made brand. It was a bellwether to the success that would soon follow nationwide once the weather broke, she adds. Levy attributes much of the Naot’s success to taking design risks. “We upgraded some of our classics, added ornamentation that we are known for in unexpected places and used color blocking in a unique way—combining orange and brown or brights with neutrals,” she explains. The goal, she adds, was to make sandals as unique as possible so they stood out on store shelves and let the product start the conversation with shoppers. Perhaps the best example of that design premise was the introduction of a hand-painted leather collection. Each pair is unique, and the handcrafted appeal was well received at retail, according to Levy. “Only our designers are trained in the craft,” she adds. Another design attribute contributing to the success of Naot’s sandal sales last year was its ongoing commitment to making them as comfortable as possible. “We not only have designers working on every sandal, but there is a development person paired with them throughout the manufacturing process to make sure every style will be extremely comfortable,” Levy says, adding, “We always think of the needs of our end consumer.” Examples include removable footbeds that are orthopedic-friendly and also allow consumers to replace an insole and not the entire sandal, and Strobel construction (in the Koru collection) for optimum flexibility. “Strobel is a much more expensive process,” Levy notes. “So many companies have moved away from it.” But she says Naot remains committed to the construction. “It’s better for the environment as almost no glue is used in the manufacturing process and it’s better for foot health in general,” she says, noting the Etera and Papaki styles were the year’s top sellers in the category. Another standout in 2015 was the launch of Naot’s Supreme sandals collection, which was chock-full of block heels that attracted a new, younger customer to the brand. “It’s more fashionable and on-trend with what is happening now in heels,” Levy reports. “It also brought in some customers who had never experienced true comfort before.” Levy adds that resurgence in the Kayla and Dorith styles in Naot’s Elegant collection appealed to a broad age range of consumers, as well. “[This line is] not marketed towards a specific age group,” she says. “I’ve seen women from 18 to 80 wearing them.” To that end, Levy believes Naot’s broad consumer appeal affirms that its sandals designs were spot-on for 2015. “Women of all ages love beautiful sandals that can go with anything,” she says. Comfort footwear used to (and in many cases still does) conjure images of outdated, puffy shoes more commonly associated with grandparent’s attire—nothing that today’s generation, where age is merely a number, wants to wear. 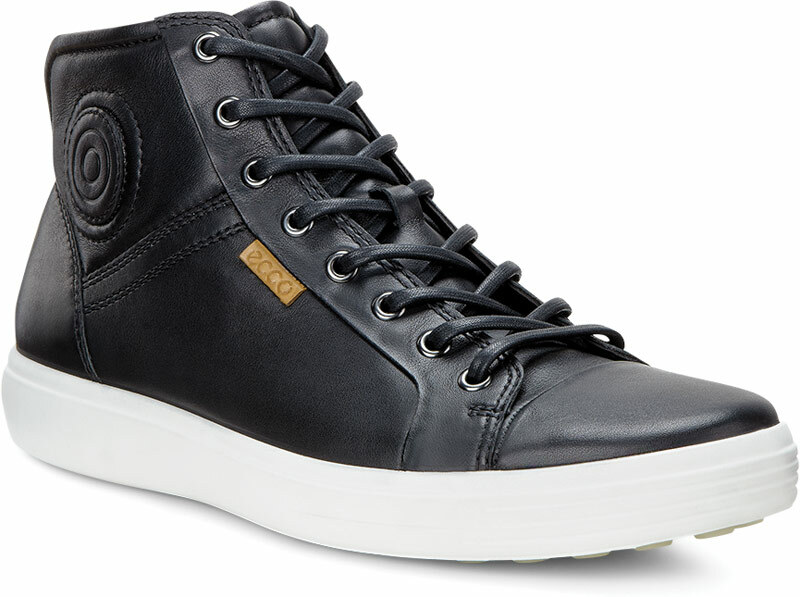 Ecco has met this increasing demand for style head on in 2015 with an updated and refreshing take on feet-first style. “The basic, traditional, mature looking comfort shoe category is in steep decline,” notes Felix Zahn, product director Americas for Ecco USA. Zahn says that the company is redefining the category, by introducing styles that incorporate the same level of comfort but “do not look like comfort shoes anymore.” Instead? “They have a cool attitude, combining comfort and style,” he says. Zahn cites Ecco’s sneaker collection with its understated and simplistic Scandinavian styling (the brand is based in Denmark) as being a big hit in 2015. In particular, he says the contrast-heavy black leather uppers with white outsoles were key drivers. Inspirations for the sneakers were drawn from the popular athleisure and retro style trends. With regard to the latter, Ecco created a cup sole aesthetic but without the added weight thanks to its direct-injected PU outsole construction process. Instead of gluing, cementing or stitching the outsole to the upper, the “super lightweight” technology allows superior fit, durability and comfort. Zahn adds that the construction process is featured in more than 90 percent of the line. “It goes perfectly with the cup sole look that is very in now,” Zahn adds. To join the year’s Intrinsic style launch, Ecco introduced its Soft7 concept mid-year, targeting younger, more contemporary consumers. Zahn says that the brand’s 2015 sales were extremely positive and mainly driven by the new launches. “We definitely outperformed the market again in 2015,” he says, adding that the designs being produced are in line with the modern man and how his role is evolving. “Consumers are changing fast,” he explains. “We started to target the consumer below 40, attracting him with a new look and style, as comfort is less important at first—but once the shoes are on his feet, he is blown away by the comfort.” But, he adds, it’s not just the younger consumers who are responding. “Another positive effect we are seeing is that we convert existing core Ecco consumers to our new look, so we are not just limited to younger consumers,” he says. He adds that the campaigns for the year were notably edgy.